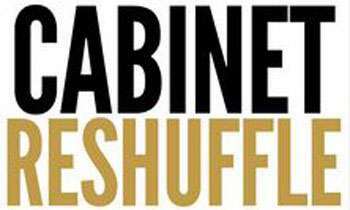 A radical change in the subject areas of ministries is in the offing in the cabinet reshuffle scheduled for today, according to government sources, It is reported that the Department of Archeological, Tower Hall Foundation, Public Performance Board, Center for National Performance Arts, Janakala Center, National Arts Board of Ape Gama, Central Cultural Fund which is relevant to Cultural subject, that were under the Ministry of Education will now come under the purview of Minister of Cultural Affairs. It is reported that the State Film Corporation which is at present under the Ministry of Public Administration will come under the Ministry of Cultural Affairs or Ministry of Mass Media. Ministry of Higher Education and Highways will be separated as two ministries, according to sources. There were 47 Cabinet Ministers under the National Government and it will be reduced to 42.